My wife’s godfather invited us to that place back in 2011 when my parents were in China as well. Basically he (the godfather) knows someone who knows somebody who was able to get us access to that place for free as there are usually no visitors except of course some well-paying tour groups. I believe it used to be more like a little zoo before as there were still signs and paths all around that place but in a very poor condition. Furthermore to get there was like a maze as towards the end the mini bus had to drive through very small streets of some village to get into a mountain path in the forest. I guess the village just expanded over the years and swallowed the road leading to this research center. 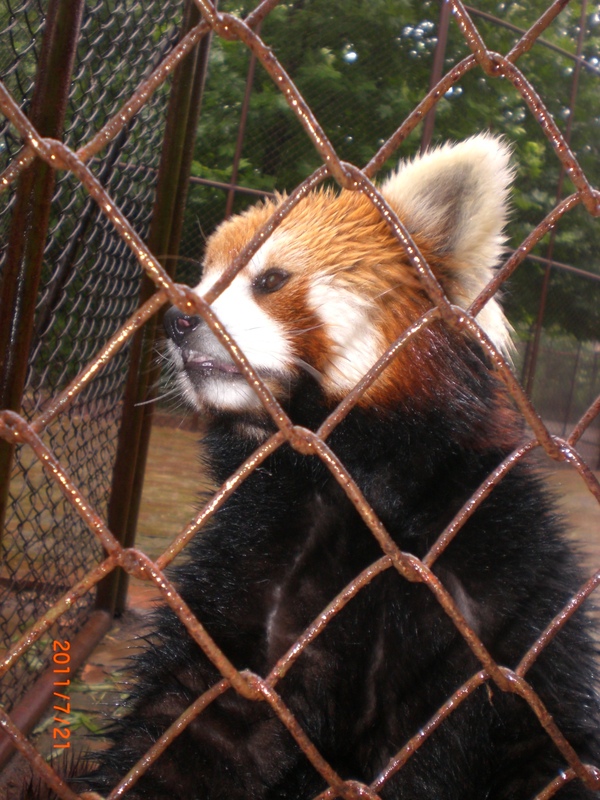 But we did see a few Pandas but sadly they were already too big that we were not allowed to enter the cage to feed them. Usually this would have been already enough for us but godfather had another surprise for us, the only brown coloured Panda in the world! As you can see now that the world already knows about this animal however back then it was still a secret and thus we were not allowed to take any pictures. Besides the Giant Pandas there were many other animals such as one of the rarest birds in the world the crested ibis or other animals such as the red panda, leopards and the golden monkey. All in all I can say it was a very interesting trip no matter if there were only a few Pandas to be seen as we learned many interesting facts about the rare species in that research center. I can just recommend to visit this place if you ever have the chance. Have you ever seen Pandas close up or other rare animals? I’ve seen the red pandas but my favorites are the large black and white ones. There are some pandas at the Taipei Zoo now but I haven’t been there since they arrived. I may make a trip there one of these days as I am sure the newness of the pandas is wearing off as everyone has probably seen them by now. Happy New Year!! Hope your 2015 is off to an amazing start! Oh, I forgot to mention, love the new look of your blog!! That is some big money for just being able to hold and touch the animals! That is so nice of your hometown zoo to have birthday specials for the kids. So generous and I bet not only the kids are happy, but the animals are too meeting new visitors. Here in Melbourne, the zoo entrance fee is $30 for an adult. Those under 16 years old go in for free on holidays and weekends. But overall it is still expensive. And most animals are behind cages and glass enclosures. 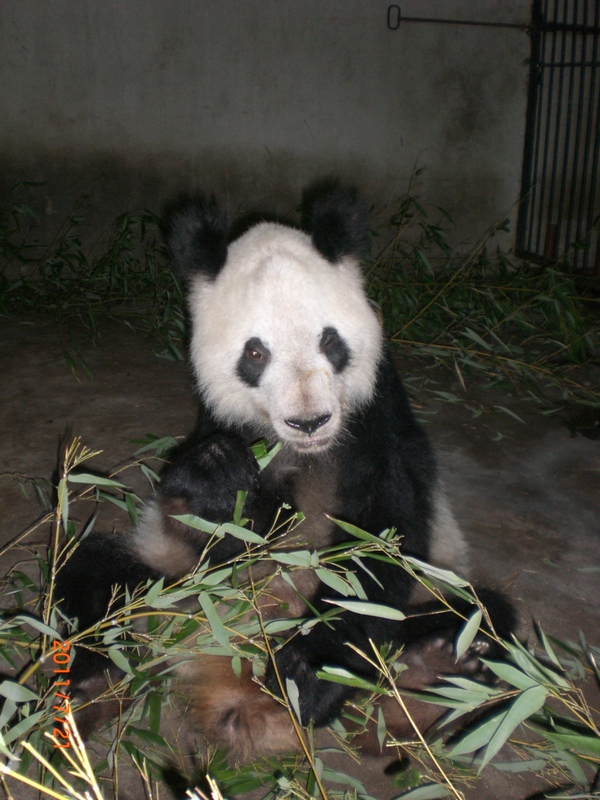 I’ve seen pandas a few places, though my favorite was at the research base near Chengdu. Your experience sounds really special though! It’s always nice to “know someone” especially in China! I like the new look of your blog 🙂 and yes, I’ve seen pandas and other rare animals. It’s funny. I usually end up at a zoo sooner or later. But I really like aquariums. Have you been to any good ones lately?